Perched on a ridge that was formerly part of a sisal plantation, Vipingo Ridge is a private resort in a stunning location with a first class golf course, panoramic sea views and only a short drive to a private sandy beach in a marine conservation area. 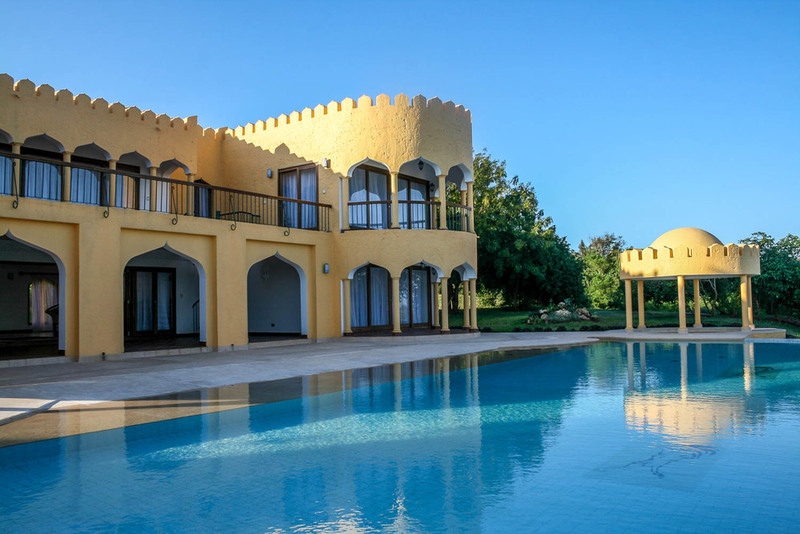 This spectacular designer holiday home in Vipingo Ridge, Kilifi is a fusion of Moroccan and Swahili style and is a haven of peace and tranquility – the epitome of sophisticated laid back chic. Four large rooms, all air conditioned, with private bathrooms, balconies and spectacular views of forest, the sisal plantation and the Indian Ocean. Full board: Ksh 80,000. We provide breakfast, lunch and dinner. The menu is pre-agreed. Surcharge for seafood. The club house and all 18 holes on the award winning course are within easy walking distance and the Club's beach bar is a few minutes drive away. We shall be in touch shortly.